1. Can Silver Bars Be Used for IRAs? A silver IRA is a special type of retirement account that allows you to invest in eligible silver coins and bars. The rules are the same as those for any other IRA, except you can add silver and other precious metals to your account, whereas regular IRAs focus on stocks and other paper assets. Silver IRAs can help to diversify your portfolio, but there are a few pros and cons you need to understand to bulletproof your retirement funds. What Is a Silver IRA? Most people are familiar with traditional IRAs that you open at a brokerage firm, like Fidelity or Schwab, because that's what most people have. When you invest in these types of accounts, your money is buying stocks, bonds and mutual funds, which the industry calls paper assets. A less familiar option is to open a self-directed IRA. These accounts have the same tax advantages and the same guidelines as any other type of IRA but with one material difference: you manage the investments. This means you're not restricted to the menu of investments that the broker offers; you can choose exactly what goes into your account. The options are extremely broad and include hard assets that you can see or touch like cash-flow real estate, businesses, gold, silver, platinum and palladium. A silver IRA is simply an IRA that has some type of silver investment held in the account. A self-directed IRA can be a traditional or a Roth IRA. With a traditional IRA, the account is funded with pretax dollars. You only pay incomes taxes when you take money out of the account at retirement. A Roth is funded with post-tax dollars so there's no immediate tax saving, but you can take out your money tax-free at retirement. For both types of IRAs, the investments grow tax-free while in the account. Even if you sell the silver, you are not taxed as long as you keep the gain in the silver IRA. The amount of contributions you can make each year are limited by the Internal Revenue Service, and usual contribution limits apply. In 2018, the annual limit for IRAs is $5,500 across all your IRAs, or $6,500 if you're age 50 or older. Those limits are set to go up by $500 in 2019. Silver provides a hedge against inflation and economic volatility. While currency values have a tendency to fall and devalue over time, the price of silver historically has gone up over time. A silver dollar has notched a tenfold return over the last century, for example, whereas the value of a paper dollar has fallen over 90 percent in comparison. Investing in silver means you're protecting your retirement savings against currency declines and safeguarding its purchasing power over time. Most IRAs are based on paper assets like stocks and bonds, which means they are susceptible to extreme markets. Silver, on the other hand, is sought after and holds its value well over time. By investing in silver, you're essentially ridding yourself of the volatility of paper assets – there's no risk of the metal losing its value in the event of a stock market crash. An ideal diversified portfolio will contain investments that are only loosely correlated with each other, like stocks and silver coins, so that each asset performs differently under different market conditions. In terms of the type of silver you can purchase, the IRS allows the ownership of physical silver bars and non-collectible coins that are at least 99.9 percent pure in self-directed IRAs. Purity refers to the silver composition of the coins or bullion. IRA-approved coins include the American Silver Eagle, Austrian Silver Vienna Philharmonic, Australian Kookaburra Silver, Canadian Silver Maple Leaf and the Mexican Silver Libertad. A lot of the silver bullion in the world will not qualify on the grounds of purity, but you can get pure bars from approved mints or refiners. Jewelry is forbidden. You can also purchase a mutual fund or exchange-traded fund that invests in silver, silver mining stocks and silver options in your self-directed IRA. These funds may have lower annual fees than what you might pay for owning the metal directly since you're not paying storage or insurance costs. A silver investment will not provide you with rent, interest or dividends. For some, that's a major disadvantage. With stock investing, for example, you get to credit the annual dividend check to your IRA where the money grows tax-free until retirement. You also get to reinvest that money and enjoy the benefits of compounding, whereby your interest earns you interest. Compounding plays a significant role in how quickly your retirement pot grows. With silver, the only returns you make come in the form of capital gains from higher silver prices. Like any type of investing, higher prices are not guaranteed. A traditional IRA (but not a Roth) forces you to begin taking minimum distributions at age 70 1/2 and you likely will have to sell your silver to help meet this requirement. If the price of silver happens to be low when you liquidate, you may get less money than you paid for it. 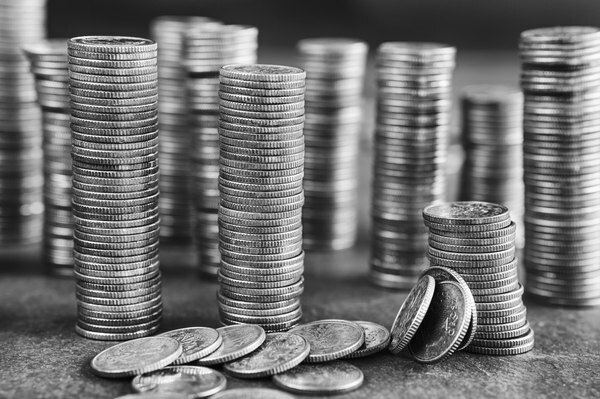 Many investors like the idea of silver investing because you get to own a real, tangible asset. But that's only partially true. IRS rules forbid you from buying the silver yourself, displaying your coins at home or stashing them in your safe deposit box, nor can you contribute silver you already own to the retirement account. Rather, you must channel your investing decisions through an account custodian. This exposes you to counterparty risk in the form of theft or fraud. Custodians save you the headache of buying the silver, arranging insurance, physical transport and storage of your bullion. They will keep the coins safe in an insured and licensed third-party storage vault. But because you never get to see the metal, you really don't know what you're buying and whether it's actually there. The U.S. Commodity Futures Trading Commission has a web page listing some common precious metals frauds. You can mitigate these risks by educating yourself on the scams and choosing a reputable silver dealer and custodian for your IRA. Once you find a reputable custodian, opening an account is as simple as filling out a few forms and funding the silver IRA. Rollovers of your current plan or 401(k) are permitted and are tax and penalty free if structured as a direct rollover. Administration and storage fees typically range from $250 to $500 annually, depending on the location and quality of the storage facility. A more significant cost is the "spread" – anywhere from 17 to 33 percent – between the prices that the company will buy and sell silver. You would need the silver to increase in value by the spread amount, just to break even. Investopedia: What are the Differences Between a Self-directed IRA and a Traditional IRA? Do I Pay Capital Gains on Silver Bars I Just Sold? How Do I Invest in Long-Term Silver Bullion? Can an IRA Account Invest in Silver?